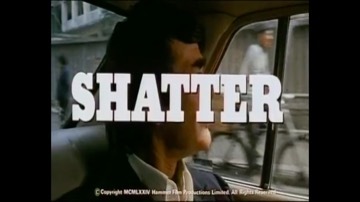 Contract killer Shatter successfully carries out the murder of an African leader, then flies to Hong Kong to collect his payment for the job. There, he finds that Washington employers are disowning him and now he himself becomes the target of several attempts on his life. He must destroy his enemies before they kill him! More Kung Fu action, made back to back with “The Legend of the 7 Golden Vampires”. This film suffers badly from the fact that there is not one pleasant character in it, therefore leaving the audience with no one at all with whom to sympathise. Anyway, for whatever reason, the film was deemed so dire that it received no cinema release at all and would have remained unseen had it not been for the occasional airing on television. Stuart Whitman’s films include Michael Curtiz’s “The Comancheros” (1961, with John Wayne), “An American Dream” (1966, aka “See You in Hell, Darling”, with Susan Denberg of “Frankenstein Created Woman” fame) and “Those Magnificent Men in their Flying Machines” (1965). One person deserves a special mention here, this being the last Hammer film to be worked on by continuity lady Renee Glynne, whose credits for the Company go back to the late 1940’s. The Art Director’s credit seems incomplete and is probably supposed to read ‘Johnson Tsau’.